We were invited to have a table at the largest scale model show in the UK. Its a two day event holding hundreds of traders, model clubs and special interest groups. We had a table in the entrance where visitors could donate kits and funds. 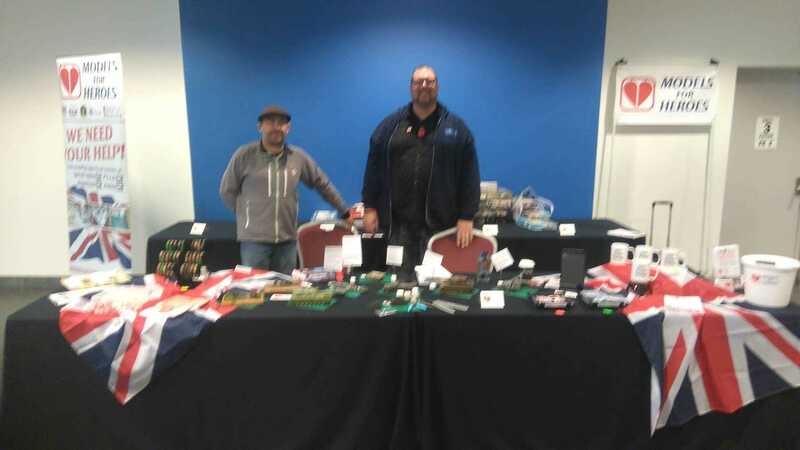 We raised, with the help of the generous traders and attendees, £849.14 and took over 200 kits home. It was a terrific boost to the charity and will keep us going well into 2018 which we are all over the moon with.